Almost everyone was riveted to their TV set last Monday when Special Assistant to the President Secretary Christopher “Bong” Go faced the Senators as he boldly denied intervening in the procurement of two new Navy ships under the military’s modernization program. The President’s most trusted and long time right hand man did not buckle under the pressure, disappointing enemies of the present dispensation. Go emerged intact, confidently answering the questions relevant to the conduct of his position as head of the Presidential Management Staff (PMS) and loyal Personal Assistant to President Rodrigo Duterte. “I did not intervene in the acquisition of the 2 frigates by Department of National Defense (DND)), nor interfere in the selection of its combat management system,” he emphasized. The Frigate Acquisition Project (FAP) is one of the big-ticket projects of the Armed Forces of the Philippines’ (AFP) modernization program, as it seeks to provide the country with the capability to deal with air, surface and sub-surface threats. The acquisition of the two frigates is seen as the first step to provide the Navy with modern warships to protect the country’s maritime territories. The Secretary pointed out that he was simply dragged into the issue to besmirch the administration. In fact, he pointed out that they have received over 23,000 complaints as of last Monday, February 19. He clarified that these documents are referred to the responsible government agency or Department for action. And yes, he has not even seen the controversial white paper on the Frigate deal, much more endorsed it to Defense Secretary Delfin Lorenzana. This swamp of correspondence that inundate Malacanang and the actions that are required of the offices that receive them was confirmed by Presidential Spokesman Harry Roque In a Malacanang press briefing after the Senate Hearing. Roque pointed out that his office receives tons of complaints and requests as well. Because they have no portfolios, they endorse these requests or complaints so they can be acted upon. Otherwise, they will be guilty of inaction. The start of the year last month saw the media having a fiesta of sorts over the allegation that Go meddled in the selection of the combat management system (CMS) for new P15.7-billion ships to be built by South Korean firm Hyundai Heavy Industries. The CMS is known as the ship’s “brain,” which integrates all of its sensors and weapons. In a white paper sent to Defense Secretary Delfin Lorenzana in January 2017, Go allegedly recommended South Korean Company Hanwha Thales as CMS provider. The Philippine Navy, then under Flag Officer in Command Vice Admiral Ronald Mercado, preferred Tacticos Thales of Netherlands. Go quickly denied the allegation, even saying he will quit his post if proven guilty. Lorenzana himself has cleared Go admitting it was not Go who gave him the white paper. Mercado also cleared Go and President Duterte in the issue, saying they showed no interest in the controversial deal. “Secretary Bong Go never approached me over the frigate deal,” Mercado said. He headed the technical working group that worked on the frigate deal. Questioned during the hearing, the Defense and Navy brass pointed out that Go never followed up whether by a text, call, correspondence or whatever manner the subject matter with any of them. This seems to put the matter at rest. What is clear is that the deal was completed in the latter part of the Aquino administration in a “photo-finish” manner, with the current administration’s duty simply ministerial in nature. We hope that issue has been put to rest. As Go pointed out, we don’t know to whom, they better wait for their turn in 2022. What is clear to me though is that he has the respect of his peers in the cabinet. 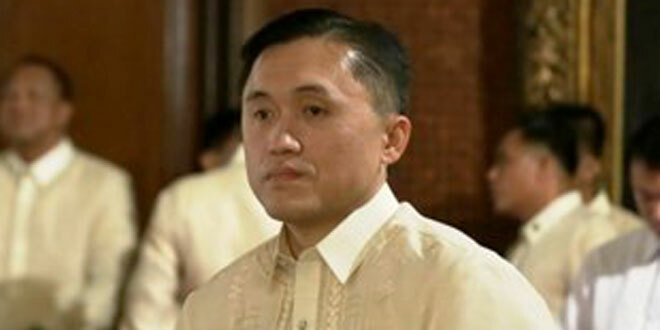 Go had the full force of his Malacanang colleagues when he faced the Senate. Practically all the Malacanang-based Cabinet officials were present in support of the quiet man who always has the President’s ear. Even some members of the Senate spoke of how he never interfered nor sought favors in the time they have known him, even as far back as the Congress days of now President Duterte. 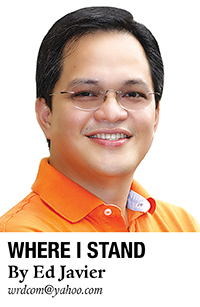 Whoever chose Bong Go to get to the President in order to bring down the Duterte administration was clearly mistaken. They chose the wrong man.